The manipulation of LIBOR is in the news as the rate-fixing scandal widens to other markets, following the British court settlement with the Royal Bank of Scotland and reignites the need to reform LIBOR. In a new research paper, Professor Marti Subrahmanyam at NYU Stern School of Business and Professor Rainer Jankowitsch and doctoral student Alexander Eisl at Vienna University of Economics and Business find that an alternative rate-setting process that uses the median of the LIBOR window could significantly reduce the effect of LIBOR manipulation. Their findings also demonstrate that the alternative proposed by the Wheatley Review – to use the mean of the LIBOR window or a random draw from within the window – in fact, exacerbates the problems of LIBOR manipulation. 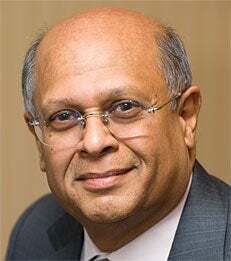 To speak with Prof. Marti Subrahmanyam, please contact Joanne Hvala in NYU Stern’s Office of Public Affairs, 212-998-0995 or jhvala@stern.nyu.edu.